This season, we’ve upgraded the Style Lottery shopping experience. The first thing most people noticed was that we changed the name of our events. So why a swish instead of a swap? It’s because swapping is simply about exchanging clothes while swishes are about creating community. Having lived in three cities in the last three years, I know from experience that meeting new people can be somewhat intimidating. Style Lottery brings people together and creates a sense of community around fashion. Our swish events happen on 3 levels (college, city, and community). Our events are our way of making our communities feel more intimate and our impact more evident. For this event, we teamed up with a local creative collective called goDesignDC to create a unique shopping experience for our guests. The creative geniuses behind the collective (Obi and Amanda) gave us the boutique look we were going for. Here are a few highlights from the event. Style Lottery is serious about sustainability, so teaming up with goDesignDC was a match made in Heaven. The team build the ceiling fixtures and racks from locally sourced and recycled materials. If you want to see more of their design vision, check out their Instagram page. We love when our social circles overlap and our friends meet each other. Friends can turn into style soulmates in a matter of minutes. We witnessed it happen several times throughout the event. A style soulmate is someone who wears a similar size in clothing. Although you didn’t intend to, you end up picking up most of the things she brought to the swish. Once you find her, you decide you have too much in common not to be friends in real life. You exchange numbers and decide to go on a roadtrip to Philly together. That last part actually did happened at our last event. We couldn’t have made it up if we tried. Our guests’ favorite part about our events is our ever-changing inventory. As the swish goes on, new items are brought out onto the floor. 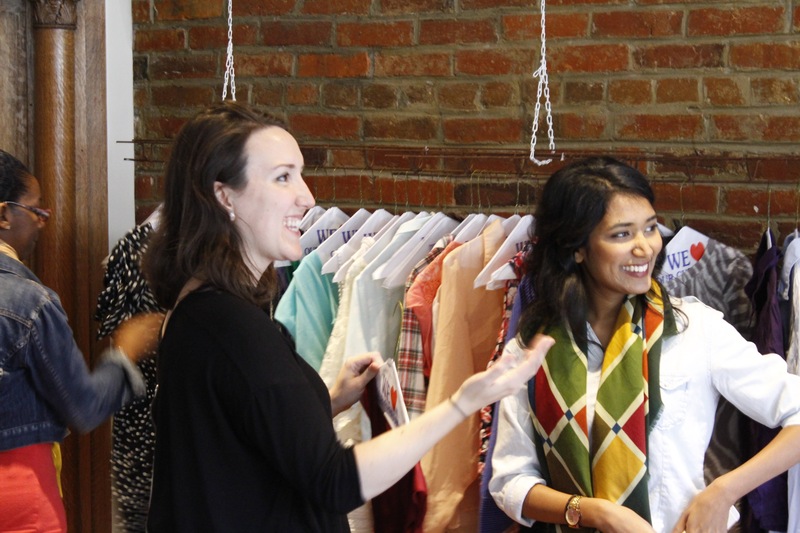 We had blogger and stylist, Buki Peters of Style With Buki, in the building helping guests style their swish finds. For guests at home missing out on the action, Buki also did a LIVE style session on Periscope. 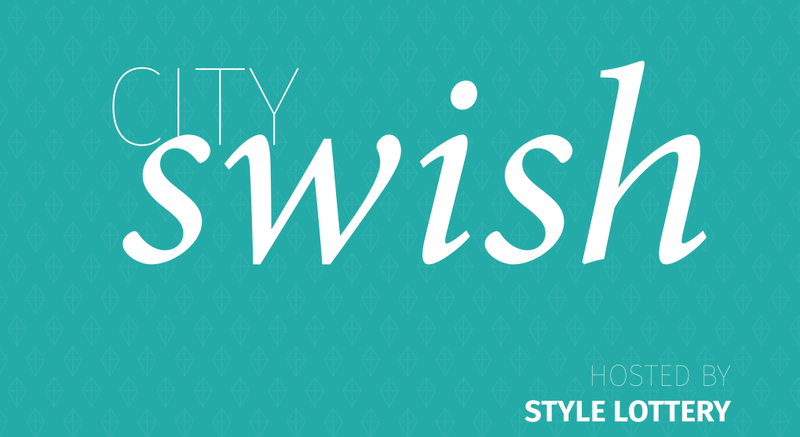 For this swish event, we were fortunate to partner with a local H&M store. The leftover clothing was donated to the store’s recycling program. Most people don’t know that H&M will give you a 15% off coupon for recycling with them. To reward the ladies for lowering their carbon footprints, we made sure that each woman received a 15% off coupon for her contributions. Thank you to everyone who made it to our first ever City Swish in DC. We’re always looking to improve your shopping experience for our guests. The feedback we received from our guests has been fantastic! If you’ve ever been to one of our events, we’d love to hear from you. Please take 2 minutes to fill out our survey.